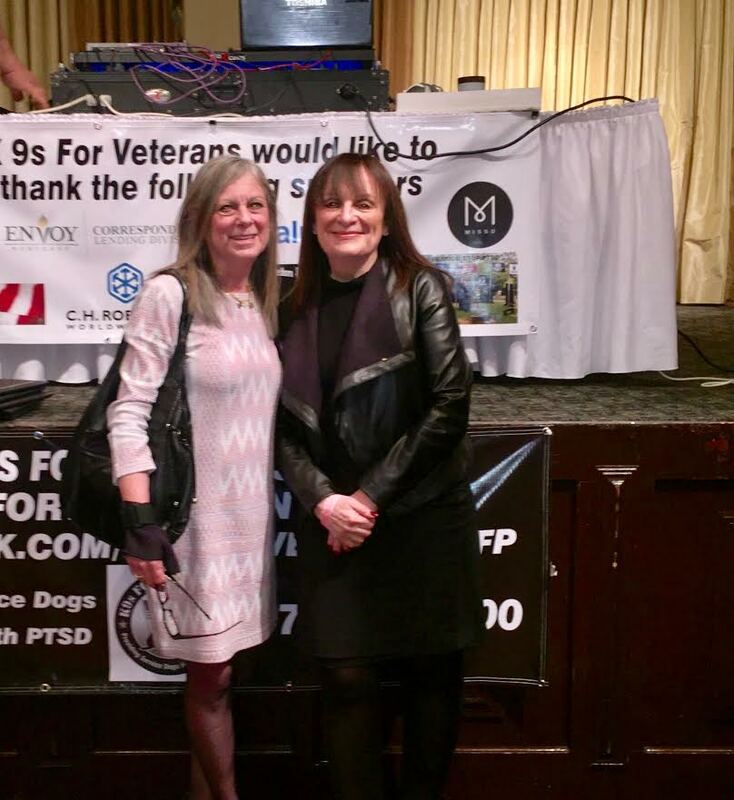 MISSD board members Marcey Berman and Wendy Dolin attended a MISSD sponsored event, “You Will Never Walk Alone,” on March 3rd with K9s for Veterans. The nonprofit organization we are thrilled to collaborate with trains and presents service dogs to veterans suffering from PTSD. Mike Tellerino, founder of K9s for Veterans, thought that the message of MISSD was an important one for veterans because so many vets are being given record numbers of medications and are unknowingly experiencing (or have lost their lives to) akathisia. Wendy spoke to more than 400 attendees who were very appreciative to learn about MISSD’s mission. Thanks to so many generous people who devote their time and funds to MISSD, we are able to support and attend events like this one.